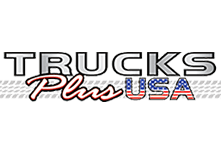 You can save a lot by shopping at Steve Hahn's Trucks Plus USA. Our dealership is ideal for car shoppers looking to save money on a pre-owned vehicle. With our centralized location, there's no reason you shouldn't save up to an average of *$500* on sales tax alone! Here are some typical examples of the amazing tax savings by coming to Central Washington! Interested in getting in on these savings? Take a look through our new inventory and see what catches your eye, or if you have a question, visit our Contact page and we will get back to you right away!